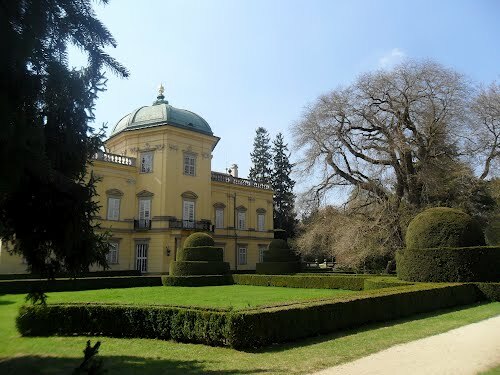 Buchlovice castle is a castle situated about 10 km to the west of Uherske Hradiste, in south-east Moravia, Czech Republic. 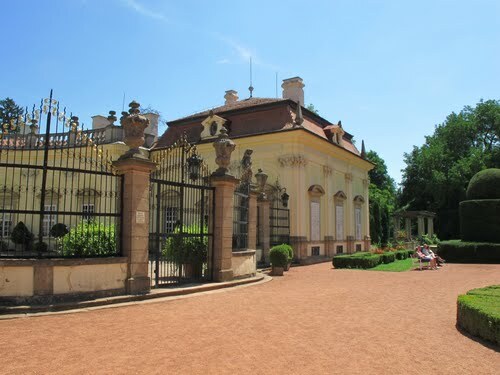 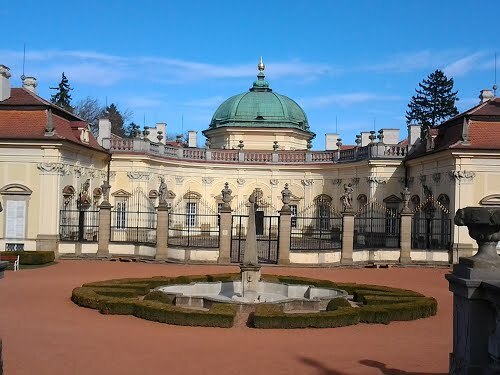 Its history is closely connected with nearby Buchlov Castle which grew more and more uncomfortable in the late 17th century, and that is why Jan Detrich of Petrwald decided to build a new castle. 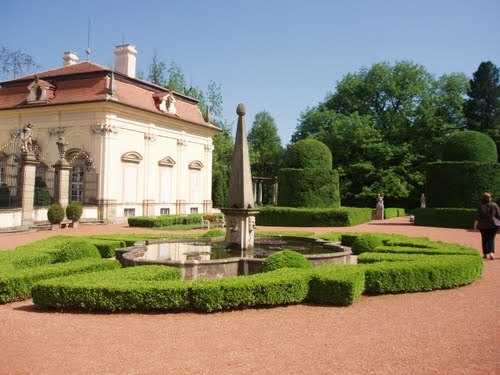 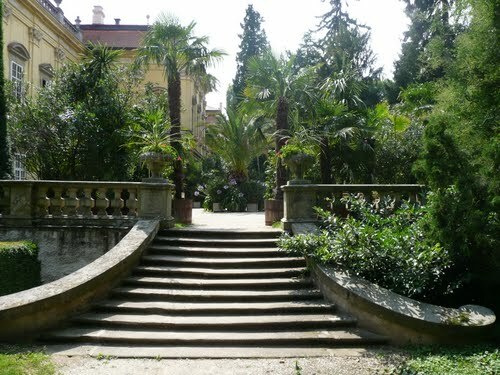 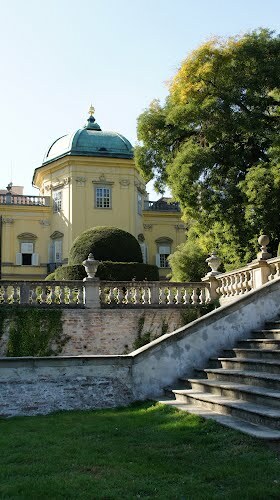 Buchlovice castle was built as a copy of an Italian villa in baroque style, by Domenico Martinelli. 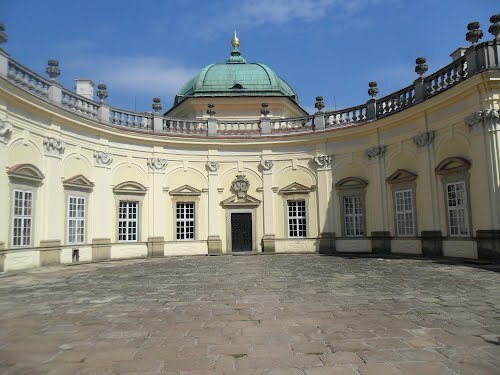 It is one of the most romantic buildings in this country. 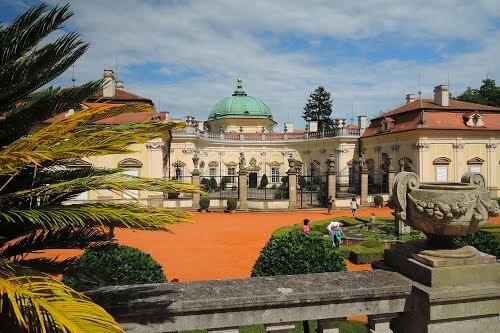 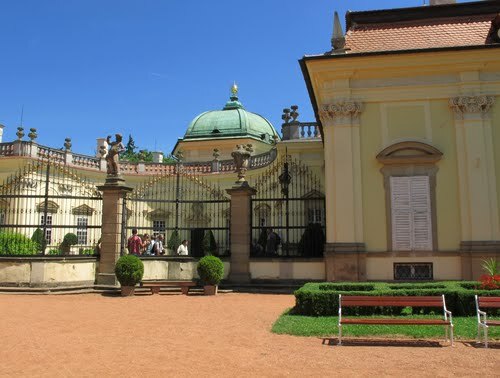 In 1800 it became property of the Berchtolds, and since 1945 the state castle is open to the public. 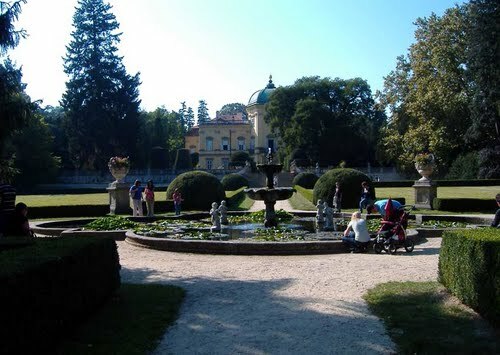 The area around Buchlovice was inhabited as early as the Stone Age, and the first written records of this district date from 1270. 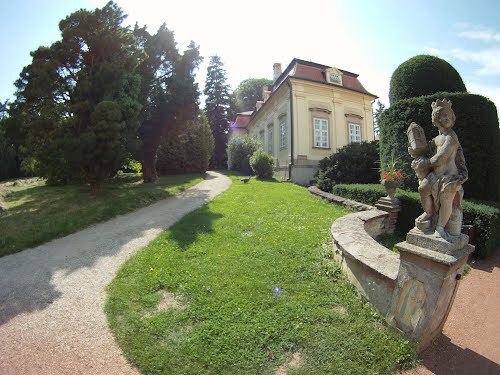 In 1540 Buchlovice became part of the estate of nearby Buchlov castle. 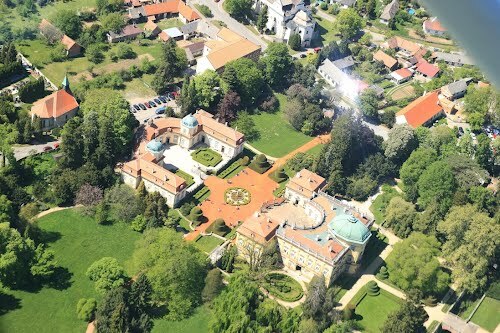 This medieval fortress, which did not meet the increasing demands for a comfortable and prestigious residence, ceased to suit its owners, who decided at the beginning of the 18th century to replace it with the grandiose château in Buchlovice. 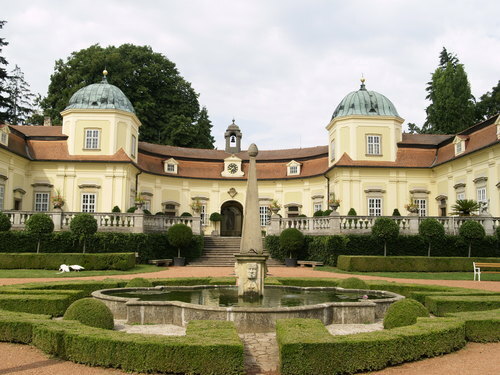 Jan Detrich of Petrvald had the chateau built according to the proposals of Italian architect Domenico Martinelli between 1707 and 1738. 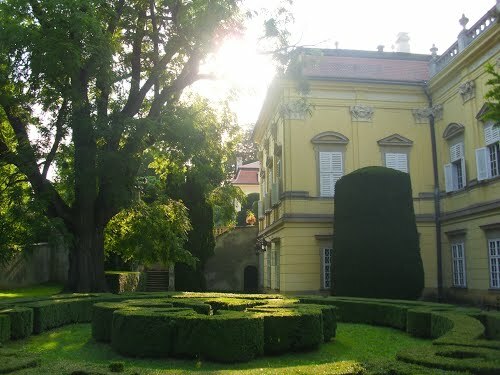 The chateau complex is made up the ceremonial building known as the Dolni zamek (Lower Chateau), and the building known as Horni zamek (Upper Chateau), which had a service function. 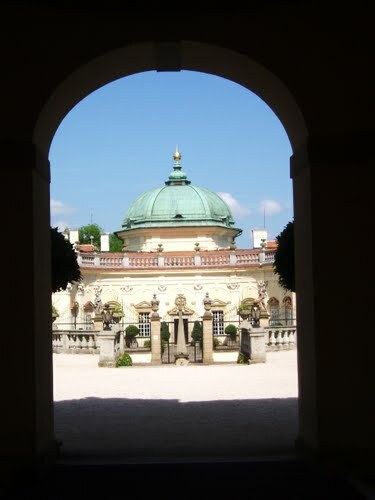 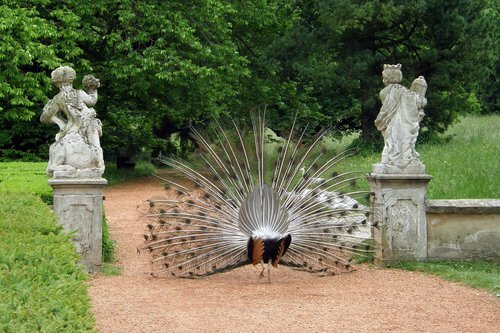 A courtyard of honour extends between the two. 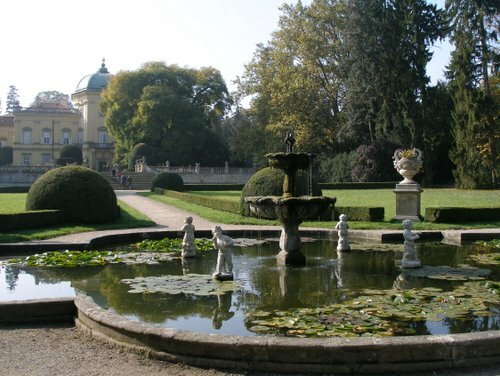 Around the chateau an Italian-style park was created, which was extended and altered in the English style in the first half of the 19th century and is among the most valuable of its kind in the Czech Republic. 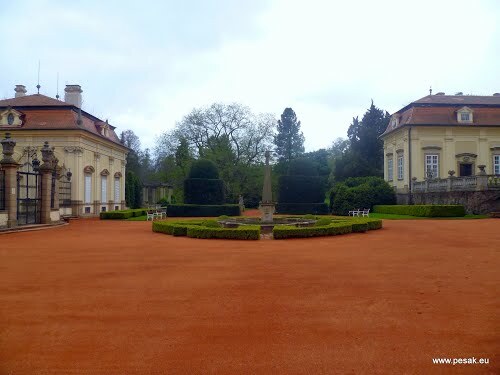 After the Petrvald dynasty died out the chateau was acquired in 1800 by the Berchtolds. 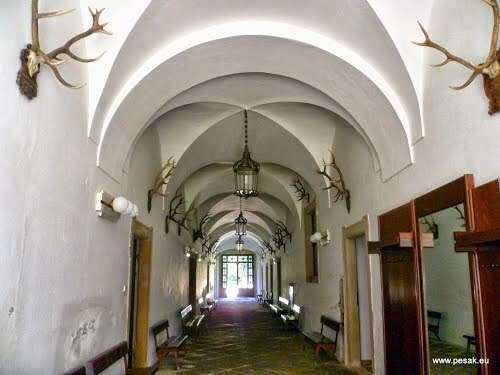 In 1807 Leopold I Berchtold established a military hospital in part of the château and a drapery in the stables. 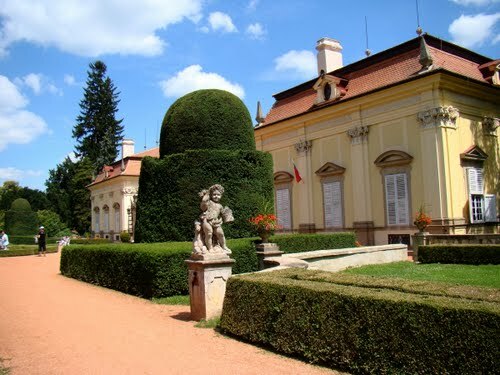 The chateau is open to the public and visitors can admire the state rooms, and chambers with rich stucco work and painted ceilings.